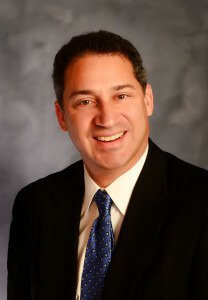 Michael A. Moskowitz graduated from the University of Michigan in 1986 and the Ohio State University College of Law with a Juris Doctor degree in 1989. During law school, Mr. Moskowitz participated in a Judicial Externship with the Ohio Supreme Court where he clerked for Justice Alice Robie Resnick. Prior to joining Thomas & Company, Mr. Moskowitz was with a workers’ compensation defense firm for almost ten years representing state fund and self-insured employers before the Industrial Commission of Ohio and in courts throughout the State of Ohio at trial and appellate levels. Further, he represented excess carriers regarding coverage issues. Mr. Moskowitz also was with a general practice firm in Cincinnati where his practice included business litigation, representing claimants in workers’ compensation claims, and criminal defense. Mr. Moskowitz has spoken at numerous seminars on various topics including workers’ compensation, Medicare Set Aside issues, and subrogation. Mr. Moskowitz previously chaired the Unauthorized Practice of Law Committee for the Cincinnati Bar Association. He was also on the board of directors for six years at a non-profit overnight summer camp and was president of the camp for four years. Mr. Moskowitz is licensed in Ohio, Kentucky, and the US District Court for the Southern District of Ohio. He lives in Blue Ash, Ohio with his wife and four children.